I’ve been having so much fun putting my littlest one’s big-girl room together. We bought an antique bedroom set, and while my husband is busy refinishing it, I've been working on her room décor. 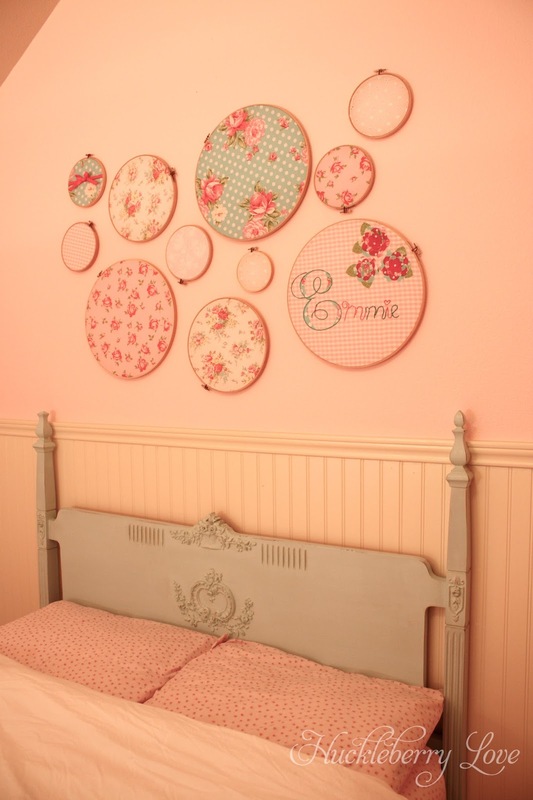 One of my friends posted this super cute idea, to hang embroidery hoops with coordinating fabrics above the bed. It was a perfect match to the vintage feel of Miss Emeline’s room, so I went in search of coordinating fabrics and various sized embroidery hoops. 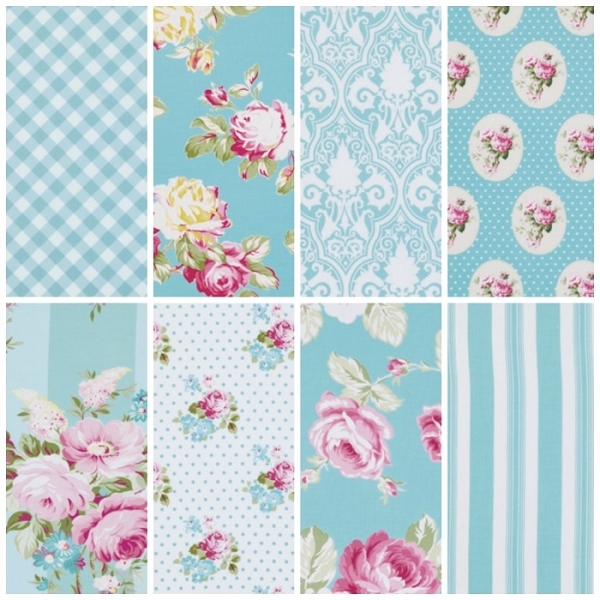 Don’t you just love the Tanya Whelan fabric? I fell in love with her Sunshine Roses line. I also used an Ikea hand towel and some fabric scraps that I had on hand. Once I had my supplies, these were a breeze to put up. 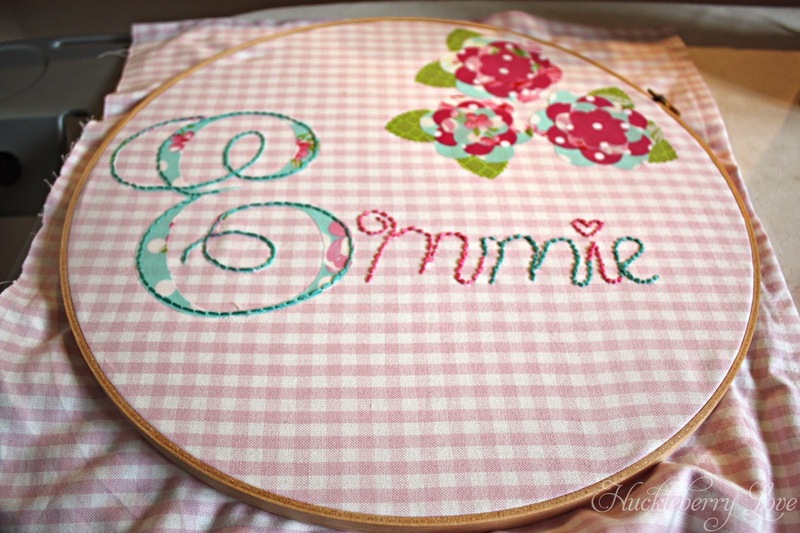 Even with the hand-embroidered hoop, the whole project took less than a few hours. Super easy and super cute! 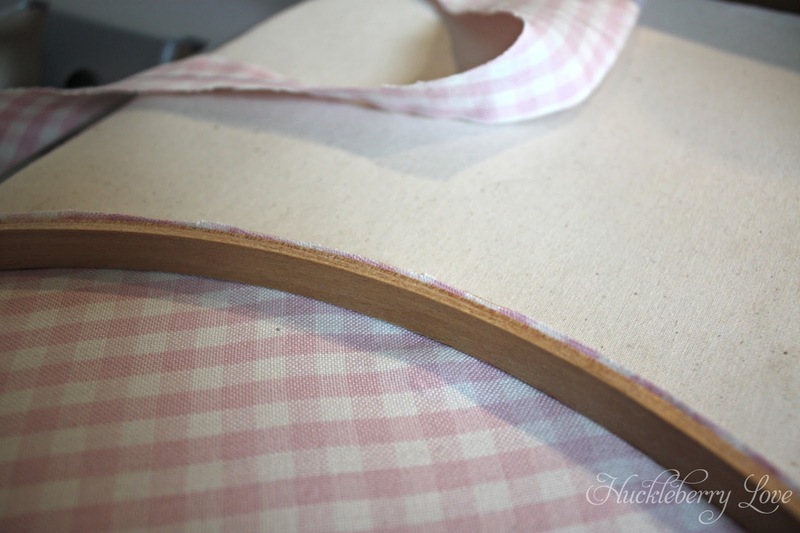 I started by placing the fabric on top of the inside hoop and cutting rectangles a few inches too large. 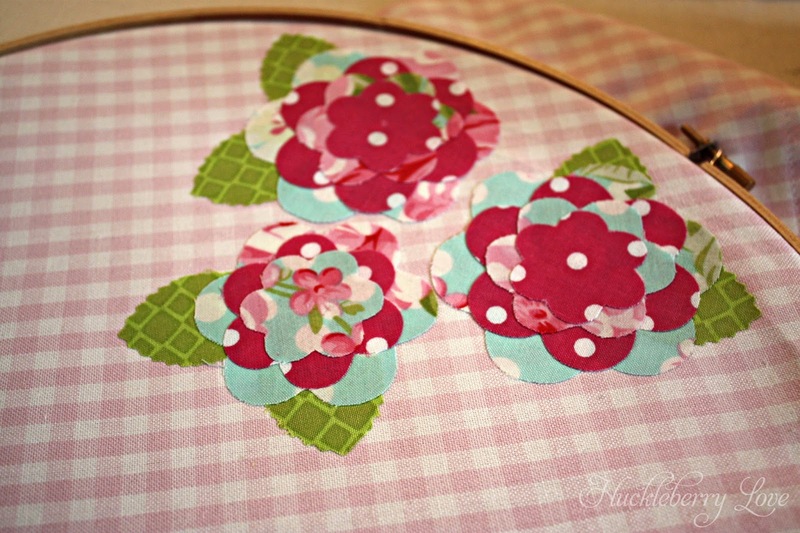 This way you have something to tug on to stretch the fabric in the hoop. 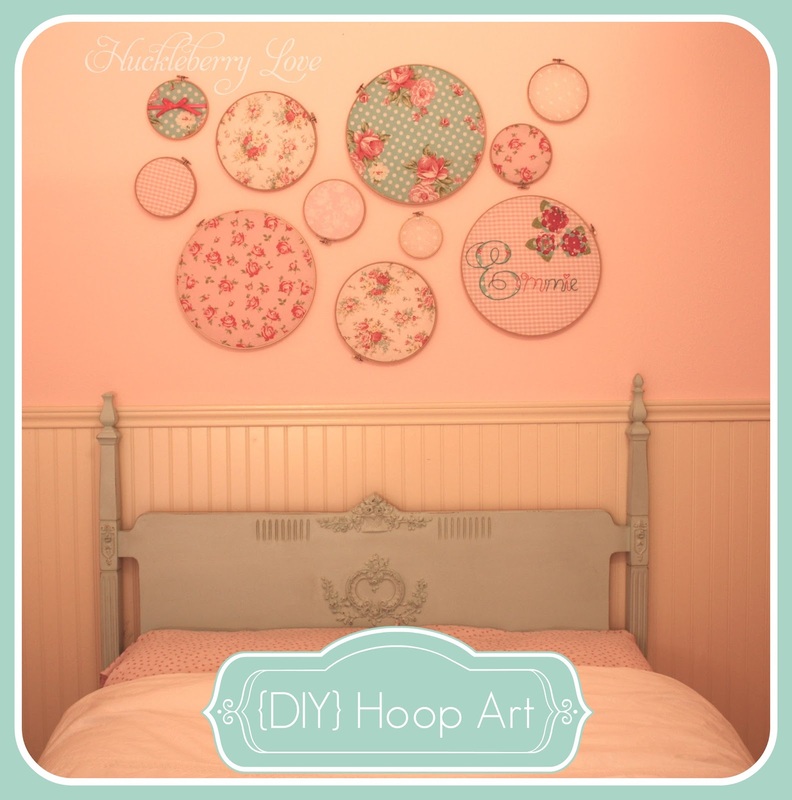 Place the outside hoop on top of inside hoop, fabric in between (make sure to keep the hoop as tight as possible, so that it can still slip on, but wont allow fabric to slip through). Then slip it around the inside hoop. Tug fabric so that it’s taught. Trim edges close. For the embroidered hoop, I (and by I, I mean my silhouette) cut fabric backed with fusible interfacing into layered flowers and a fancy monogram font E. I ironed them on, layer by layer and ended up free-handing the rest of her name. 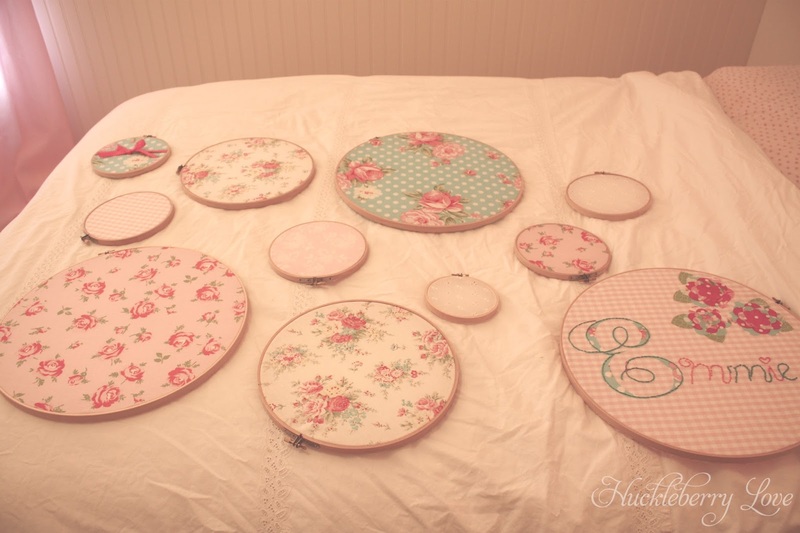 Once you’ve got all of your hoops filled with fabric, arrange them how you would like. I settled on this configuration. After I was happy with my arrangement, I snapped a quick photo on my phone for reference. Attached to my i-phone, I tell ya! Hang them one by one, with picture hanging nails , using the photo layout as reference.